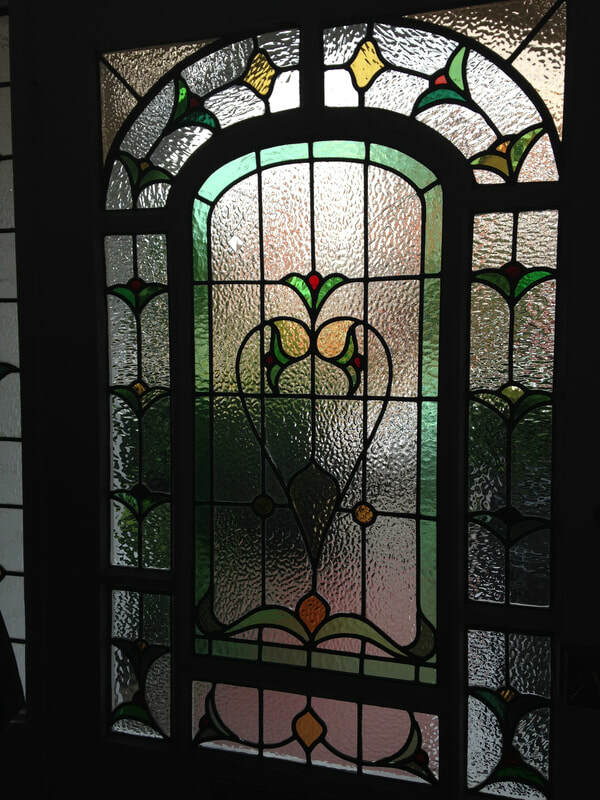 If you have stained or leaded glass that needs repair - I can help you. ​There is nothing I can't do. I will get your windows and door panels back in perfect condition". On site repairs, If you only have a couple of panes broken, I can save you time and money by simply replacing broken panes in situ,within the existing lead-work. 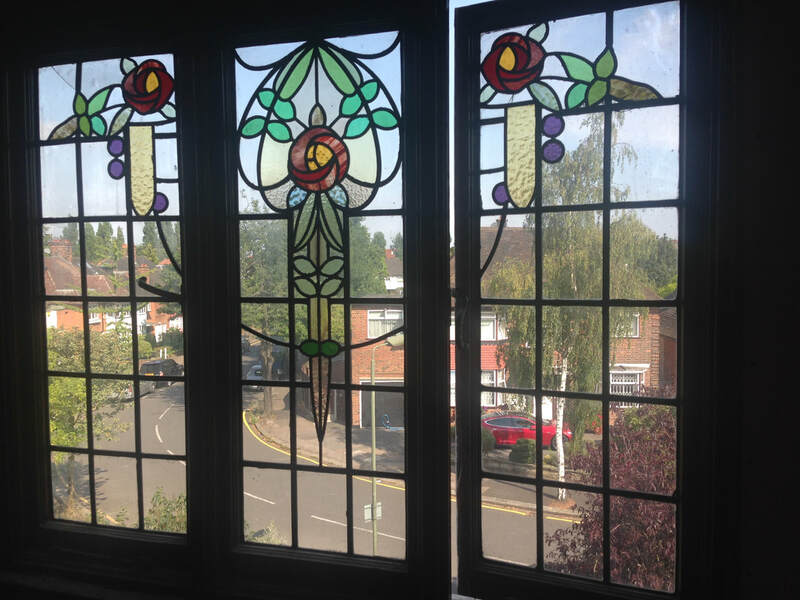 Re-leads, If the damage is severe it may be necessary to remove and temporary glaze your window and bring it into the studio to change the leadwork. Any broken glass will also be matched up and replaced. The end result will be a clean bright stronger window ready to last another 50 years or more (barring accidents of course!) and as close to invisible mending as you can get! 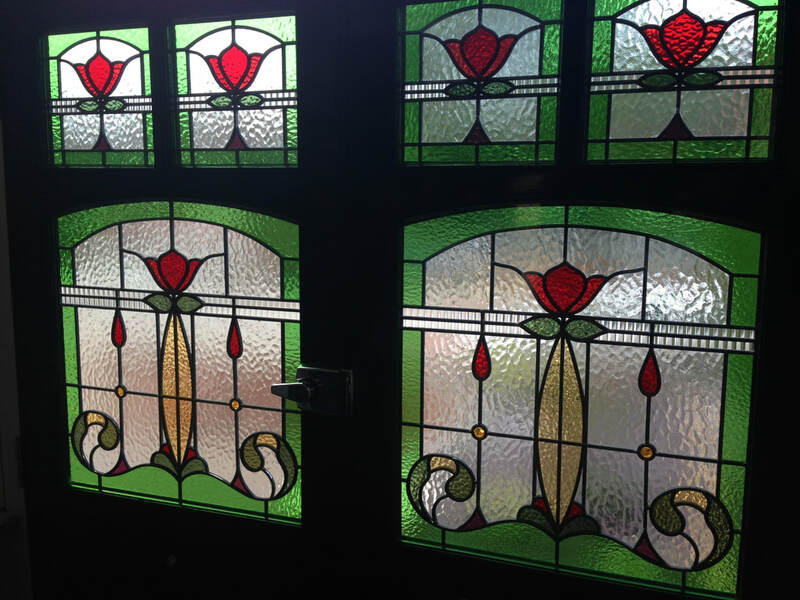 Double glazed Stained Glass, For extra strength and security and the added benefits of thermal efficiency too! We can either convert your existing glass, or start from scratch. Offering you a choice of Toughened, laminated and Low E glasses- and the beauty of Real stained Glass. Reproduction of Missing Windows in all Period Styles, With 40 years experience in copying Victorian Edwardian, Art Nouveau, and Art Deco styles I can re-create the look that is right for you and magically transform your home and bring the glass back to how it would have looked when it was first built. New Designs for today's Lifestyles Because stained glass is a living craft, I make the most amazing art glass for my customers, Not just windows and doors but partitions, screens, dividers ,splash backs, mirrors and bespoke lighting too. Help and advice choosing what to have If you don't know exactly what you want don't worry, just give me a call, and let me help you. I can help you, By asking all the right questions we will come up with practical and beautiful solution that you will enjoy living with every day. Call Matthew on 07976 229 346. You will be absolutely delighted with the results, Have a look at what my customers have said about me. 'My Architect said we couldn't have a stained glass window on the stairs as it would need to be double glazed, and nobody could do it.. You proved him wrong! Call me for a free no obligation estimate and let me take care of your problem today.